Cultivating A Sense Of Gratitude - Benefits Of Feeling Good! Gratitude is the emotion we experience when we notice and appreciate gifts that have been given to us in our lives. These gifts are frequently thoughtful things others do for us, but they can really be anything that makes us stop and say, “I am so grateful for this!” You can appreciate the gifts of nature, be grateful for feeling good today, or just for being alive! But gratitude is often overlooked in the fast-paced world of today. It’s easy to get lost in the hassles of our everyday lives and never pause to look at the big picture and realize there’s a lot to be grateful for. And although gratitude is an emotion, it can, through time, grow into a positive personal ethic. If we feel gratitude as an emotion, we feel it only briefly and not necessarily often. But if we integrate it into our value system, it becomes part of us and we feel it more often and more deeply. However, that requires persistence and hard work, but we’re here to help! Today, you’ll learn about all the positive outcomes of gratitude, as well as how you can practice it to become a happier and healthier person. Gratitude can be beneficial for our mental health in many different ways. First and foremost, it’s a good stepping stone for combatting – and preventing – depression and anxiety. People who suffer from mild depression have said that when they feel as though they’re sinking, being grateful helps them feel they can survive and swim instead. But besides that, gratitude can simply make us feel happier, more enthusiastic, and more optimistic about our present and our future as well. People who tend to focus on all the gifts they’ve been given also tend to experience negative emotions like envy, sadness, or bitterness, less than those who focus on their problems. This isn’t to say all our problems should be completely overlooked and expected to solve themselves; rather, we should start by being grateful for what we still have, before proceeding to work on the issues we’re facing. Finally, gratitude is a very adaptive feeling when it comes to facing stressful situations. 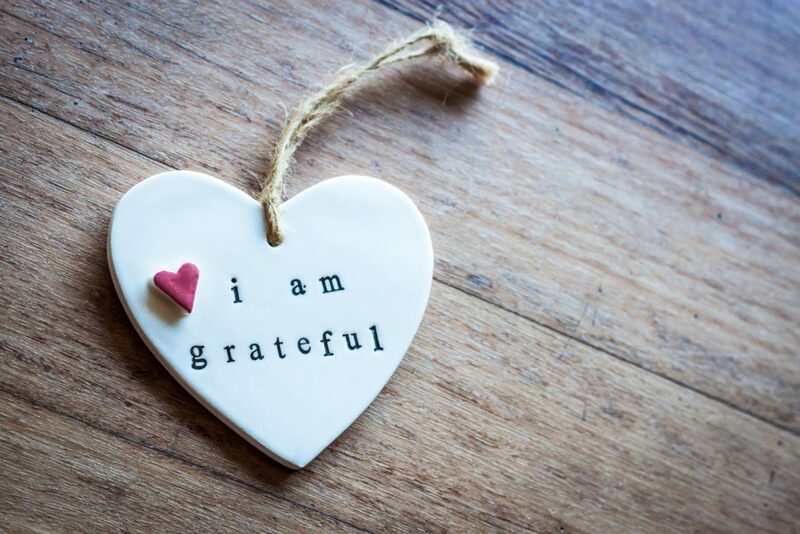 People who often feel grateful say they feel calmer and less stressed when it comes to difficult situations, compared to those who don’t practice gratefulness that often. Some say that gratefulness is the core of altruism. If we feel other people have been kind to us and if we appreciate it, we’re more likely to help them out when needed, even if it can sometimes come at the short-term expense of ourselves. Through gratitude, we learn to let go of our fears of being hurt or used, and we start feeling good if we help others, just as we feel good when they help us. We can be very focused on what we don’t have – so much so that we forget about the things we do have. But after hearing of all the benefits gratefulness can give us, the question remains – how do we cultivate a sense of gratitude? How do we internalize it, instead of it being an emotion we tend to feel only once a year during Thanksgiving? One thing you can do is keep a journal. Writing in it every day might be a bit too much – you could get so used to writing gifts down that you start feeling indifferent towards them. Instead, write in it once or twice a week, or as often as you feel like – everybody is different when it comes to that. What you should do is create a list of things you’re grateful for – family, friends, a wonderful day, that great new song you heard – anything that makes you happy. Simply think of all the things you have that are not really a default in life, as well as things you didn’t even have until recently. Finally, a simple meditation practice can help open your mind and make more room for gratitude. Each person has their own preferences, and gratitude works best if they choose the practice that fits them best. So choose yours and ask yourself – What am I grateful for? Bartlett, M., & DeSteno, D. (2004). Gratitude and Prosocial Behavior. Psychological Science 17(4):319-25. If you need any kind of advice related to the emotional development of your children, you’ve come to the right place!